1 A None No Power Seat 1 A is a standard Economy Class seat located at a bulkhead. The tray table is installed in the armrest making the armrest immovable and slightly reducing seat width. There is no floor storage available for use during takeoff and landing The close proximity to the galley and lavatory area might be bothersome. 1 B None No Power Seat 1 B is a standard Economy Class seat located at a bulkhead. The tray table is installed in the armrest making the armrest immovable and slightly reducing seat width. There is no floor storage available for use during takeoff and landing The close proximity to the galley and lavatory area might be bothersome. 1 C None No Power Seat 1 C is a standard Economy Class seat located at a bulkhead. The tray table is installed in the armrest making the armrest immovable and slightly reducing seat width. There is no floor storage available for use during takeoff and landing The close proximity to the galley and lavatory area might be bothersome. 14 A None No Power Seat 14 A is a standard Economy Class seat that has limited recline due to the Exit Row located directly behind. 14 B None No Power Seat 14 B is a standard Economy Class seat that has limited recline due to the Exit Row located directly behind. 14 C None No Power Seat 14 C is a standard Economy Class seat that has limited recline due to the Exit Row located directly behind. 14 D None No Power Seat 14 D is a standard Economy Class seat that has limited recline due to the Exit Row located directly behind. 14 E None No Power Seat 14 E is a standard Economy Class seat that has limited recline due to the Exit Row located directly behind. 14 F None No Power Seat 14 F is a standard Economy Class seat that has limited recline due to the Exit Row located directly behind. 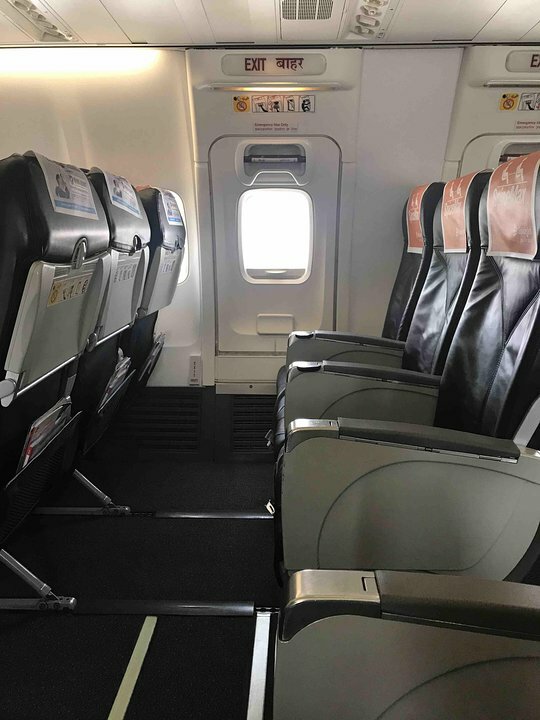 15 A None No Power Seat 15 A is a standard Economy Class seat located in an Exit Row with extra legroom, however, seat back recline is limited due to the other Exit Row located directly behind. 15 B None No Power Seat 15 B is a standard Economy Class seat located in an Exit Row with extra legroom, however, seat back recline is limited due to the other Exit Row located directly behind. 15 C None No Power Seat 15 C is a standard Economy Class seat located in an Exit Row with extra legroom, however, seat back recline is limited due to the other Exit Row located directly behind. 15 D None No Power Seat 15 D is a standard Economy Class seat located in an Exit Row with extra legroom, however, seat back recline is limited due to the other Exit Row located directly behind. 15 E None No Power Seat 15 E is a standard Economy Class seat located in an Exit Row with extra legroom, however, seat back recline is limited due to the other Exit Row located directly behind. 15 F None No Power Seat 15 F is a standard Economy Class seat located in an Exit Row with extra legroom, however, seat back recline is limited due to the other Exit Row located directly behind. 16 A None No Power Seat 16 A is a standard Economy Class seat located in an Exit Row and features extra legroom. 16 B None No Power Seat 16 B is a standard Economy Class seat located in an Exit Row and features extra legroom. 16 C None No Power Seat 16 C is a standard Economy Class seat located in an Exit Row and features extra legroom. 16 D None No Power Seat 16 D is a standard Economy Class seat located in an Exit Row and features extra legroom. 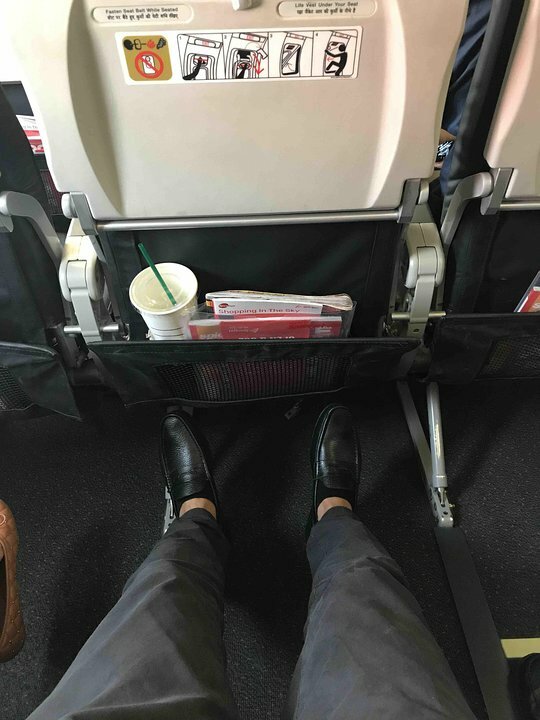 16 E None No Power Seat 16 E is a standard Economy Class seat located in an Exit Row and features extra legroom. 16 F None No Power Seat 16 F is a standard Economy Class seat located in an Exit Row and features extra legroom. 2 D None No Power Seat 2 D is a standard Economy Class seat located at a bulkhead and has extra legroom. The tray table is installed in the armrest making the armrest immovable and slightly reducing seat width. There is no floor storage available for use during takeoff and landing. The close proximity to the galley and lavatory area might be bothersome. 2 E None No Power Seat 2 E is a standard Economy Class seat located at a bulkhead and has extra legroom. The tray table is installed in the armrest making the armrest immovable and slightly reducing seat width. There is no floor storage available for use during takeoff and landing. The close proximity to the galley and lavatory area might be bothersome. 2 F None No Power Seat 2 F is a standard Economy Class seat located at a bulkhead and has extra legroom. The tray table is installed in the armrest making the armrest immovable and slightly reducing seat width. There is no floor storage available for use during takeoff and landing. The close proximity to the galley and lavatory area might be bothersome. 31 C None No Power Seat 31 C is a standard Economy Class seat. The close proximity to the galley and lavatory area might be bothersome. 31 D None No Power Seat 31 D is a standard Economy Class seat. The close proximity to the galley and lavatory area might be bothersome. 32 A None No Power Seat 32 A is a standard Economy Class seat in the last row of the aircraft. Seat back recline might be limited. The proximity to the galley and lavatory area might be bothersome. 32 B None No Power Seat 32 B is a standard Economy Class seat in the last row of the aircraft. Seat back recline might be limited. The proximity to the galley and lavatory area might be bothersome. 32 C None No Power Seat 32 C is a standard Economy Class seat in the last row of the aircraft. Seat back recline might be limited. The proximity to the galley and lavatory area might be bothersome. 32 D None No Power Seat 32 D is a standard Economy Class seat in the last row of the aircraft. Seat back recline might be limited. The proximity to the galley and lavatory area might be bothersome. 32 E None No Power Seat 32 E is a standard Economy Class seat in the last row of the aircraft. Seat back recline might be limited. The proximity to the galley and lavatory area might be bothersome. 32 F None No Power Seat 32 F is a standard Economy Class seat in the last row of the aircraft. Seat back recline might be limited. The proximity to the galley and lavatory area might be bothersome. 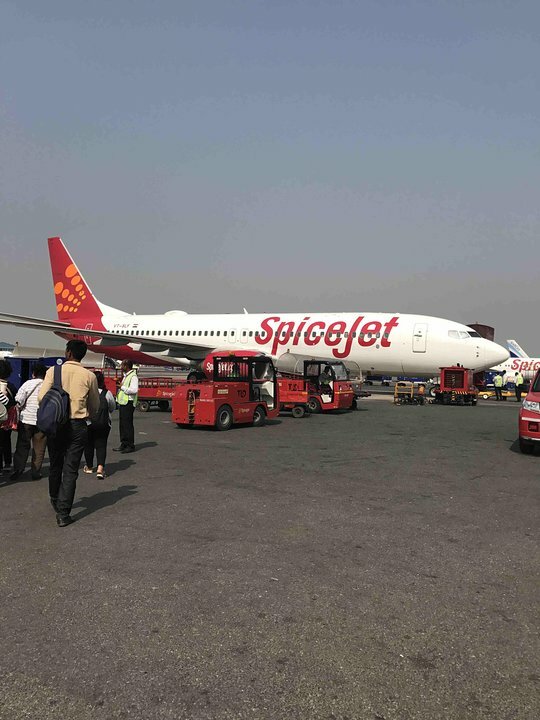 SpiceJet has opted for the new-generation Boeing 737-800s with winglets. 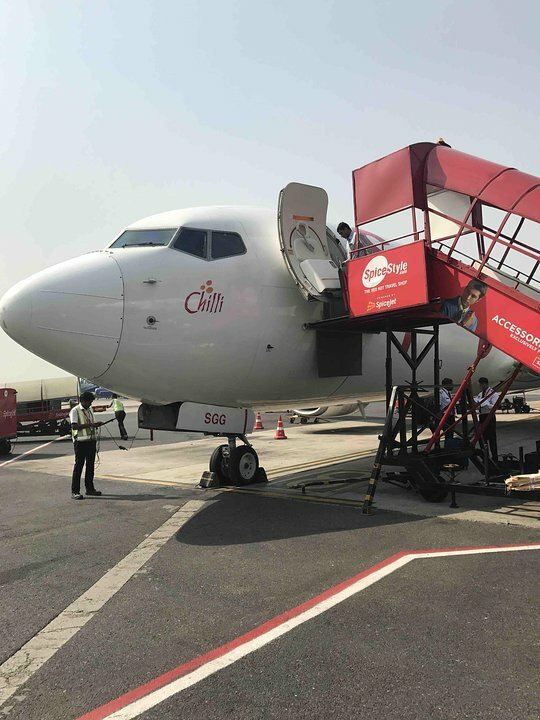 This aircraft allows for safe, comfortable and efficient flying and is ideally suited for short to medium-haul routes that are in SpiceJet's network. 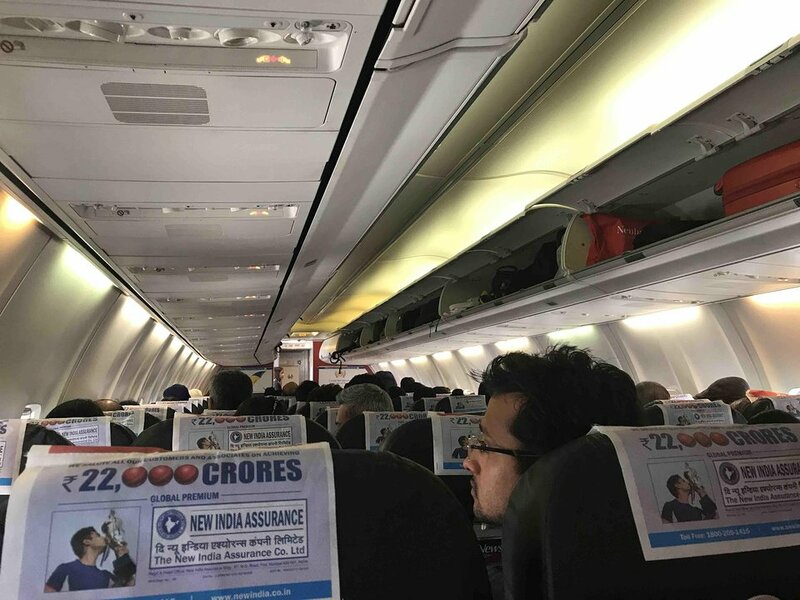 SpiceJet flies 1 versions of Boeing 737-800.